Welcome to Conchosports.com! 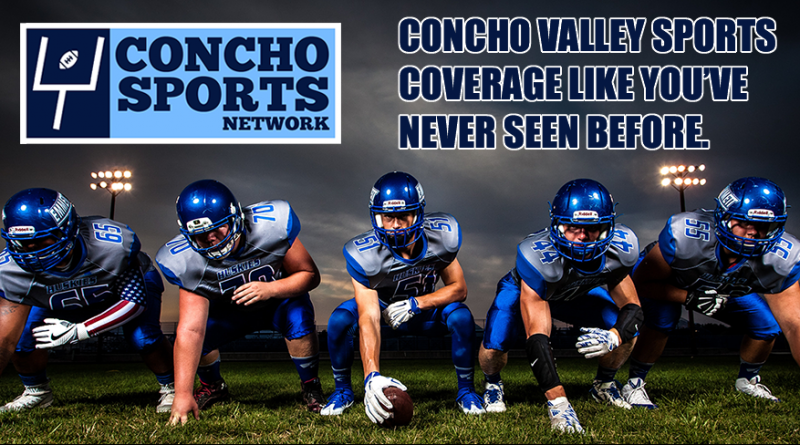 Concho Sports Network was conceived from the spark of an idea a few years ago to provide more in-depth sports coverage in the Concho Valley. That spark has culminated in what we have now – An online streaming sports network that will provide a unique look and unprecedented access to the teams and student athletes in San Angelo and the Concho Valley. Launching this August, Concho Sports Network aims to be the premiere source of high school and Angelo State sports coverage in the our area. We will be on the cutting edge, covering San Angelo area sports in ways no one else has before. 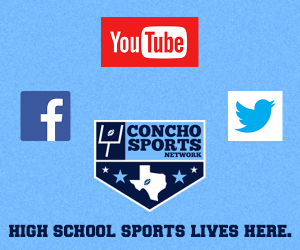 Some of the exciting things we have in store as we start covering fall sports this September include live streaming and on-demand broadcasts of high school sporting events throughout the Concho Valley, starting of course with high school football. We’ll also have multiple weekly streaming TV shows, daily interviews, game highlights, and feature stories that will give sports fans inside looks at the games, teams, and athletes at a level never seen before in San Angelo and the Concho Valley. Our website at Conchosports.com will be the hub of our coverage. All of our game broadcasts, news, video features, highlights, written stories, and so on will be found there, nicely organized by school and sport. Each school will get its own page where you can find all content organized by sport, along with team, roster, schedule, and coaching information. It will be the only place you need to go for high school and ASU sports coverage. High school and college sports in the Concho Valley are special on a level that is rare in most places, and we want to let everyone in our area have access to it all in a way that you”ve never had before. “For the fans by the fans” is certainly one of our mottos, and everyone involved with Concho Sports Network has a passion for high school and college sports. With that in mind we’ll be providing coverage that you as a fan wants to see. So we hope to get plenty of involvement and input from you, the fans in our area as you check out our ever-expanding coverage. We expect this to be quite an exciting ride, and we hope you as sports fans join us on this new journey through the San Angelo and Concho Valley sports landscape.